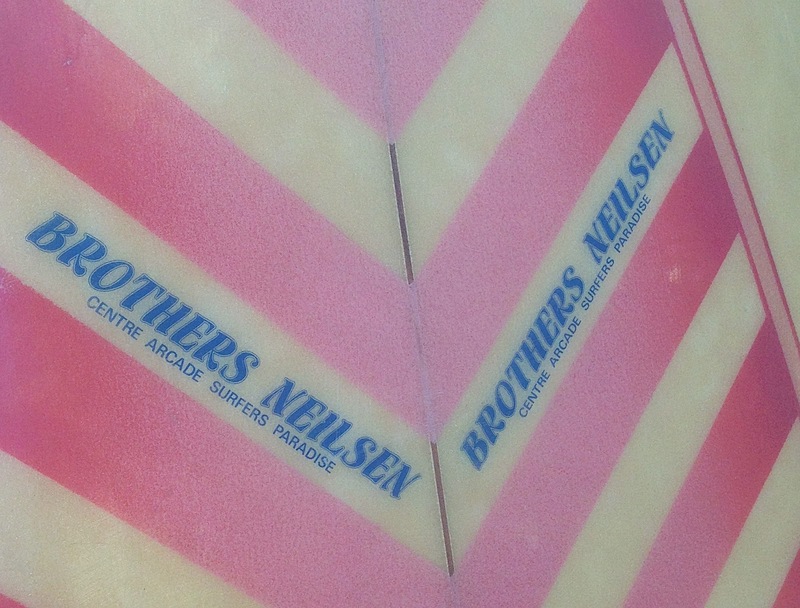 : Board Collector: Brothers Nielsen single fin pin tail. 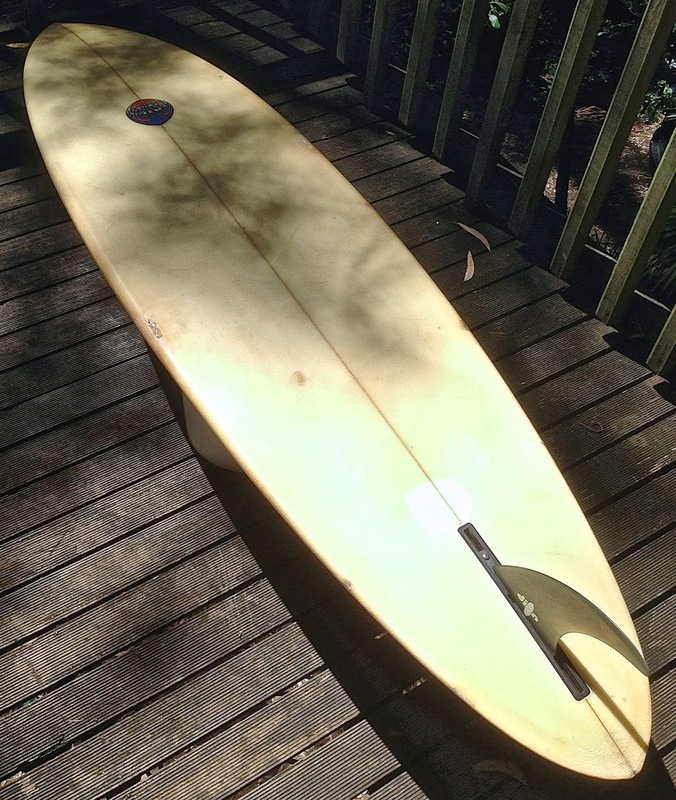 I'm filled with nostalgia as I share with you my late 70's Gunther Rhon shaped Brothers Neilsen rounded pin tail, 6'4", single fin. 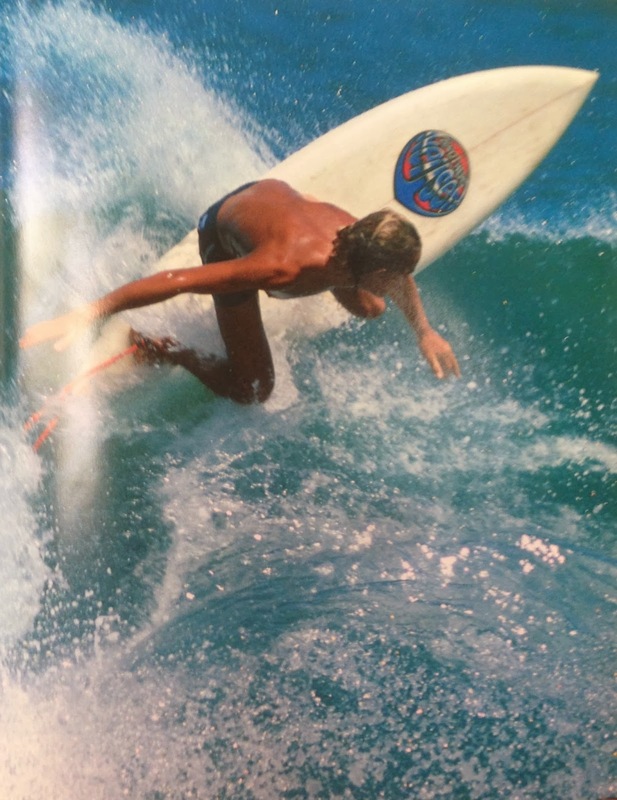 My family regularly holidayed on the Queensland Gold Coast during the 70’s and early 80’s. We would drive the 12 hours from Sydney in one go. Leaving in the dark, I would look forward to the pre-dawn snack of cold toast wrapped in a paper napkin from the Golden Fleece service station north of Newcastle. 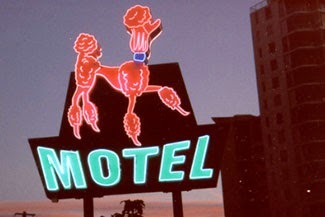 I remember staying at the Pink Poodle motel till the huge multi storey apartment buildings were built. 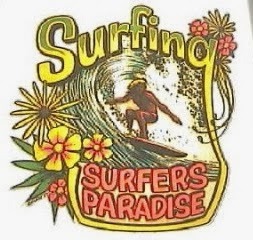 But my fondest memories are of Surfers Paradise main beach, the smell of coconut oil from the pervert with the stray gun, the meter maids, the crochet bikinis and the cavil arcade where the Brothers Neilsen shop stood with its racks of shiny boards. Product testing selfie. I'm pretty impressed that I got the camera far enough away to get the whole surfboard in the shot. 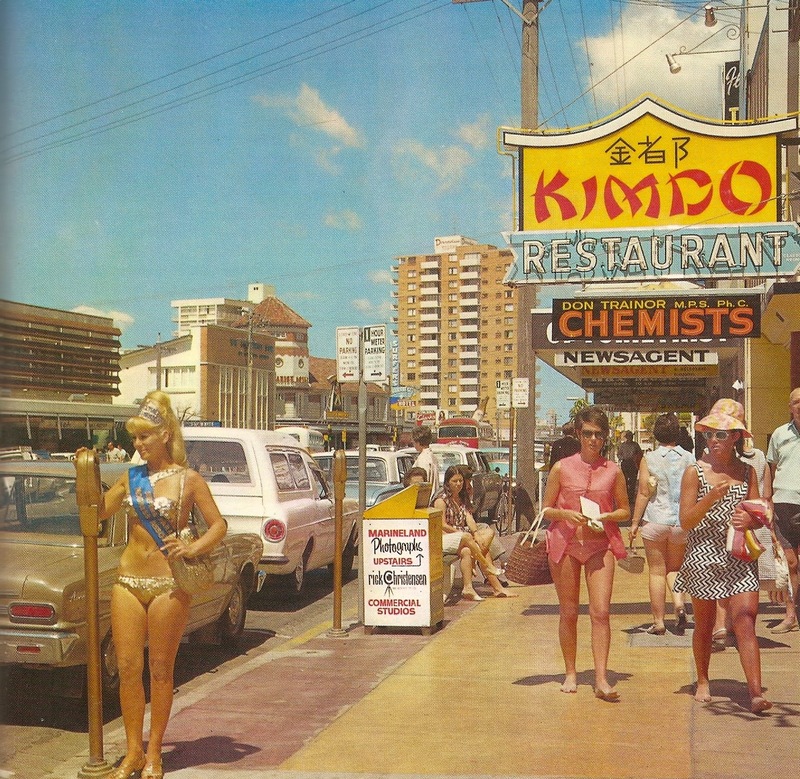 Late 70's in Surfers Paradise. 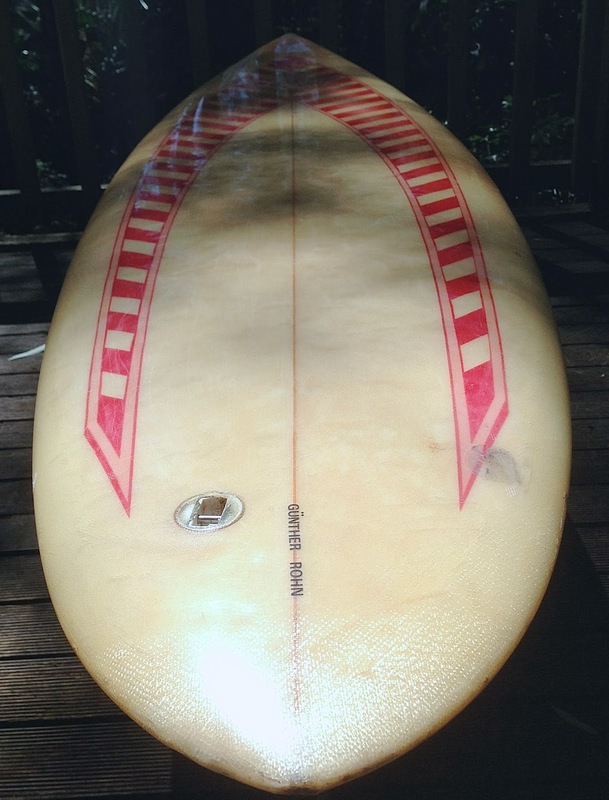 Reminds me of sun burn and single fins. The Centre Arcade off Cavil ave. Pebblecrete on the ground and the small of coconut oil in the air. Alone with my thoughts. 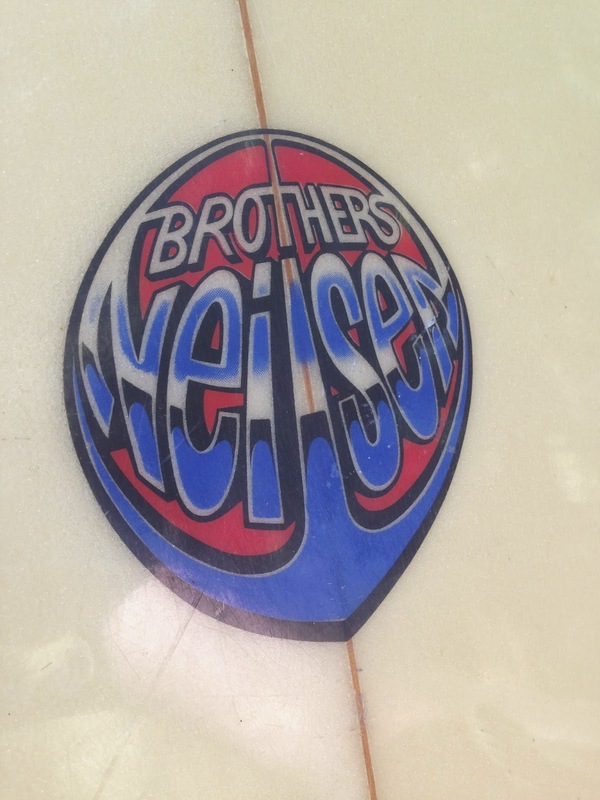 The board surfed very well for me. Paddled well and caught waves. The rails are soft and not too tucked under, the rail being on the wide point of the board that gave it soft manageable feel. The best job in the world? The tan man was certainly the creepiest guy I had ever seen. 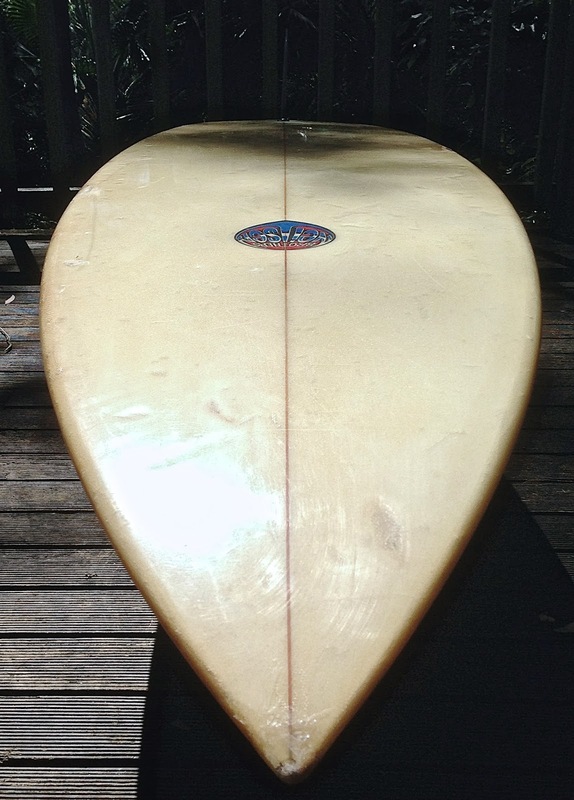 Even rocker and thickness throughout, a really nice board. Taking the high line on the back hand. I still love Aussie Chinese food to this day. Pink lemonade with San Chou bow, honey king prawns, sizzling beef and fried rice. Late 70's Queensland meter maids made a big impression on a young mind. 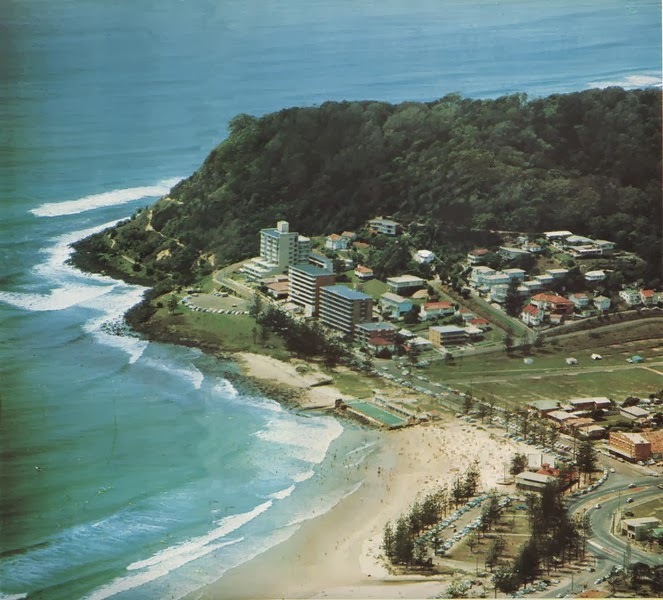 Burleigh before the high rise. 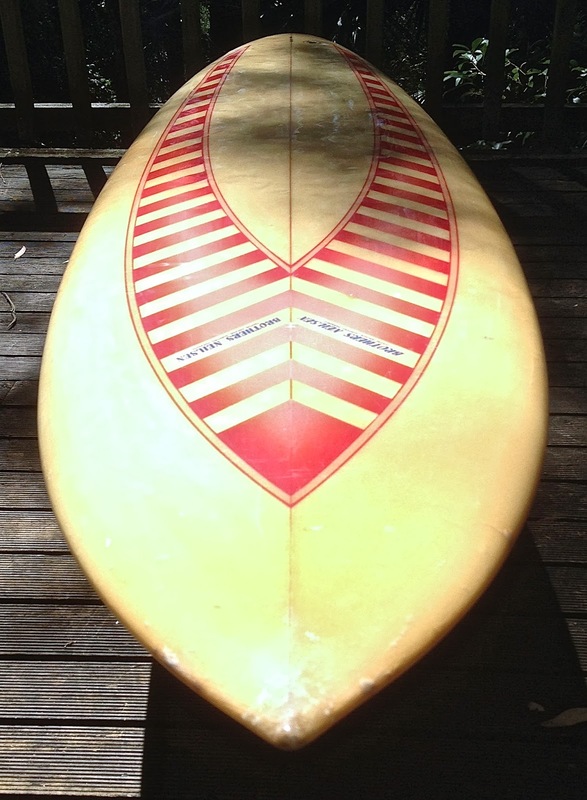 Unreal- that board looks proper- amazing that it didn't get ridden to death. Love the board in the context of Surfers Paradise and your memories. Thanks! Whoa. The pink lemonade was the best. And once I got out of the car and looked up and up and up and then quickly back down again - didn't know where to look (well kind of did) - Gold Coast meter maids, a boy's own adventure.